For successful summer holidays in the mountains, book your accommodation to Les Angles in Pyrenees massive, Pyrénées Orientales. This mountain resort will offer you exceptionnal areas and surprising landscapes. Your summer accommodation to Les Angles will be for you a moment of wellness in the heart of a beautiful nature and you will spend holidays in wide open spaces. Our moutain offers will make you live warm emotions with all your family. We propose you quality holidays accommodation in all French massives, in the heart of mountains. 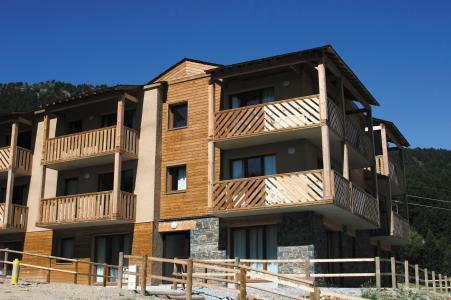 We have many residences to rent for your summer to Les Angles. Let yourself be carried by a feeling of happiness, enjoy the summer holidays in the mountains full of sun and discoveries ! 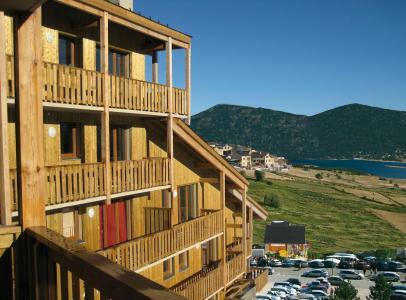 The Résidence Les Chalets de L'Isard*** is situated at the entrance to the Les Angles Resort. It has group chalets available. You will enjoy a bit of relaxation in covered swimming pool, and the wellbeing area of the residence. You will find shops in the heart of the station 5 minutes by car. The residence L'Orée des Cîmes is situated in the village of Les Angles. It consists of 7 floors with elevator, built in the respect for the Pyrenean traditions. 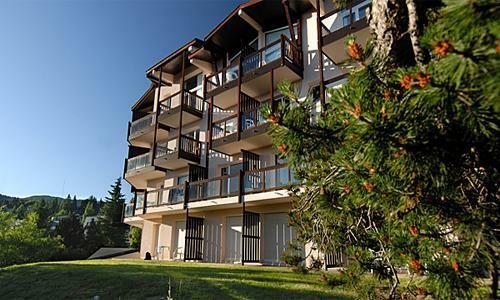 It is located in the center of the resort at 100m from shops and amenities. You can park your car just near the residence. You will be at the departure of a lot of hiking way. 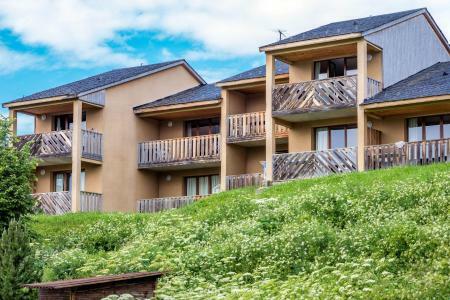 The residence Prat de Lis is located in the village of Les Angles, and consists of 63 apartments distributed in 3 buildings (with elevator) built in the respect for the Pyrenean tradition and decorated with green spaces. The businesses as well as the center of the resort are in 300 m. You will benefit of the wellness area with sauna and jacuzzi. Le Clos des Fontaneilles is located in the resort of Les Angles. It composed of 9 small buildings of 2 levels. Residence with the genuine feel, whose volumes, forms and materials remain the pyrenean tradition. Situated at 600 m from the village centre and shops. You will benefit of the swimming pool and the fitness area. A car park is situated close to the residence. 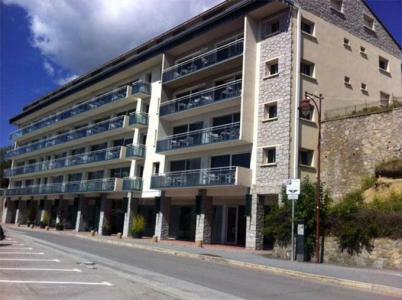 In the heart of Font Romeu ski resort, the Pédrou P&V residence is in close proximity to the various sports centres and shops, at about 350 m from the cable car taking you to the ski slopes. The "Pédrou residence" faces the South/South-West and offers a very beautiful view all over the Cerdagne. 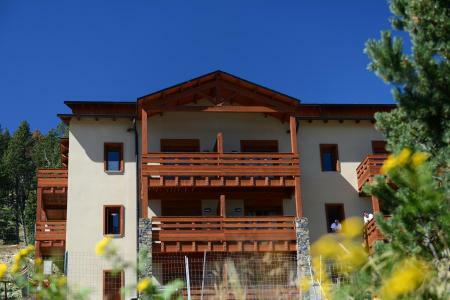 Accommodation offering exceptional views of the Pyrénées. Situated in 1800 m of height, in the heart of Catalan Pyrenees, Le Domaine de Castella*** proposes you the modern comfort of a quite new residence. It has very comfortable and completely equipped apartments which can accomodate up from 2 to 10 persons and of a wide range of services and equipments. In 300 m of the center of the resort with its numerous shops, services, infrastructures and animations. Le Domaine de Castella benefits of unique panorama. Located at the enchanting setting of the Catalan Pyrenees, at the Languedoc - Roussillon region, The Catalogne is a residence with 42 apartments in the center of the village of Font-Romeu, altitude of 1800 meters and boasting 300 days of sunshine per year. This residence is located at 50 mts from the boutiques and 300 m from the 9 holes golf. The Catalogne offers large apartments all fully equipped, facing south in the Pyrenees, ideal for families with children. Taxi transfer is possible form the residence to the airport (more information at the reception). WIFI (extra charge) in all apartments. Residence with lift. 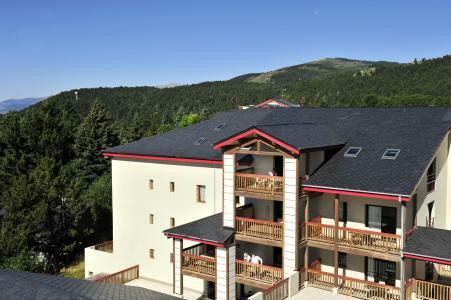 Nestled in the heart of Font Romeu, Le Pic de l'Ours residence offers a stunning location close to the tourist office and shops. It welcomes you in a setting combining enchanted charm, authenticity and modernity. 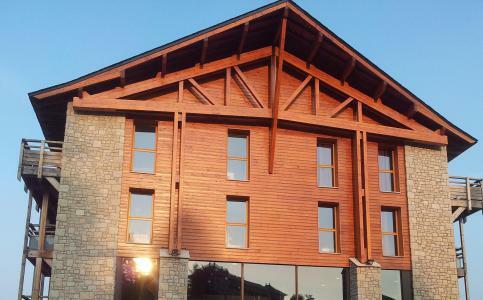 You will be seduced by its architecture and mountain-style décor, combining robustness of stone and wood heat, all in a friendly atmosphere, divided into three four-storey buildings. You will stay in spacious apartments ranging from studios to T4, all equipped with a kitchenette with a stove, oven, dishwasher, coffee maker, bathroom, WC, balcony or terrace. Always concerned about your comfort, the Residence Pic de l'Ours offers a wide range of services to make your stay a memorable one. At your disposal : heated indoor pool, sauna, steam room, relaxation lounge, playground for children, laundry (with charges), wifi and parking. The Residence Le Pic de l'Ours is the ideal place for a family holidays or a couple, and rediscovering the pleasures and emotions of the mountain.